Pricing: $60 per hour, $40 per half hour. School term concessions available. Olivia is a classically trained soprano specialising in early ensemble music. She recently completed her Masters in Performance and Media Arts at Auckland University of Technology and is now studying toward her PhD. She has trained with internationally renowned singers including Rowena Simpson, Robert Oliver, Judy Bellingham and Béatrice Gaucet, performing in New Zealand and overseas. Olivia began her singing career studying musical theatre and contemporary pop styles, while studying music theory at the Christchurch School of Music. She is an experienced tutor, coaching actors and singers of all ages and abilities, and directing and conducting community choirs. 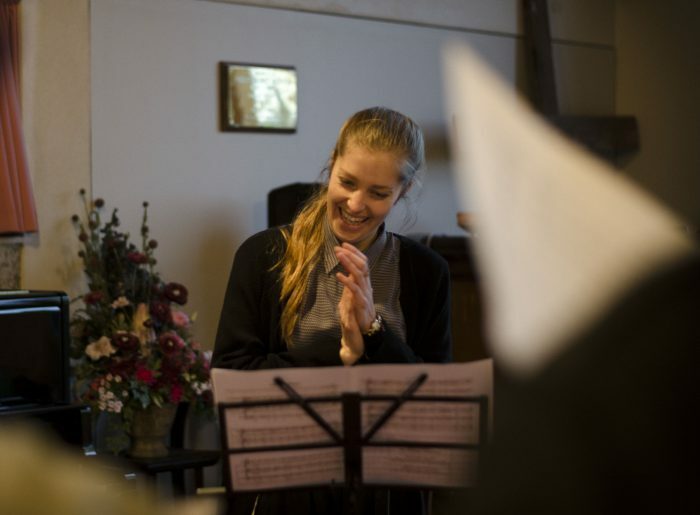 Olivia is familiar with the current NCEA Music Curriculum in Secondary School education and is equipped to give advice and tutoring in this area.